In this release we feature citizen engagement in science, book covers, the InsideOCULA Newsletter, and we meet Megan Copp. Don’t judge a book by its cover! Melanie Kindrachuk disagrees and she explains why in a Readers’ Advisory column suitably entitled Judging a Book by Its Cover. Adele Magowan takes over the reins at the Random Library Generator column. Her first interview is with Megan Copp. Find out why The Price is Right, The Little Mermaid, Nina Simon, and garages are important. And finally, this release of Open Shelf includes InsideOCULA for March 2015. 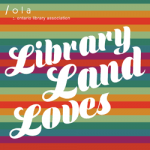 The newsletter of the Ontario College and University Libraries Association includes stories about library pre-shows, library anxiety, interdisciplinarity, and faculty attitudes to open access.